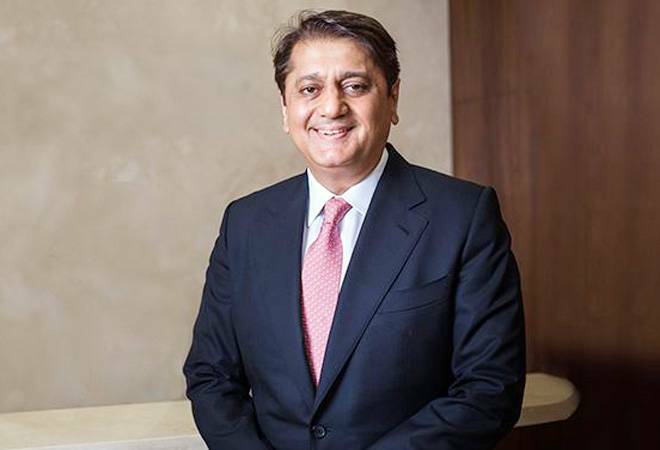 Deepak Kochhar, the husband of ICICI Bank CEO and the person who finds himself at the centre of ICICI Bank-Videocon saga, is yet to come out with his side of the story. While the ICICI Bank board has reposed its trust in current MD and CEO Chanda Kochhar after denying any quid-pro-quo in the Videocon loan saga, the carefully-worded clarification has left people with more questions than answers. Deepak Kochhar, the husband of ICICI Bank CEO and the person who finds himself at the centre of this controversy, is yet to present his side of the story. Deepak Virendra Kochhar is the co-founder and Chief Executive Officer of NuPower Renewables which was set up in December 2008. NuPower Renewables was originally founded as a 50-50 JV between Videocon Group's Venugopal Dhoot family and Kochhar and Advani families (Chanda Kochhar's brother, Mahesh Advani). Around that time Chanda Kochhar was the CFO and Joint MD at ICICI Bank. Kochhar was a financial services entrepreneur before he co-founded NuPower. He has been a Director of NuPower Renewables Pvt. Ltd. since December 24, 2008. He studied Masters in Finance from the Jamnalal Bajaj Institute of Management Studies, Bombay University. That's where he met Chanda Advani(Chanda Kochhar's original name). He is also an Alumnus of Harvard Business School - Graduate of the Advanced Management Program (AMP). Very little is known about him before 2008 except his company Pacific Capital Services Private Limited. The Pacific Capital Services Private Limited then was owned 90% by Mrs. Neelam Advani (wife of Mrs. Chanda Kochhar's brother Mahesh Advani) and 10 per cent by Mr. Virendra Kochhar (Father-in-law of Mrs. Chanda Kochhar). Kochhar is also an avid squash player with 3 national titles under his belt. In his blog, Kochhar describes himself as one of the elite Independent Power Producers (IPP) in renewable energy. "This humble man with NuPower Renewables had a dream to eradicate the problems of electrification taking place in the rural areas of India," his blog post reads. NuPower says it has 700 MW of renewable energy assets operating (including in pipeline) located in Tamil Nadu, Karnataka, Rajasthan, Maharashtra, Andhra Pradesh and Madhya Pradesh. In 2016, NuPower was looking to raise $300 million in two equal portions to develop 1 gigawatt (GW) of capacity over next six years. Original Directors of NuPower were Venugopal Dhoot, Deepak Kochhar and Saurabh Dhoot. It raised about Rs 300 crore from a renewable energy fund of Singapore-based private equity firm Accion Capital Management Pte Ltd in return for an undisclosed equity stake in 2012. NuPower also borrowed Rs.750 crore from Punjab National Bank in the same year, and subsequently, borrowed funds from Axis Bank Ltd and Central Bank of India. Deepak Kochhar is also the managing trustee of Pinnacle Energy. According to ICICI shareholder Arvind Gupta, Deepak Kochhar amassed wrongful personal gains when ICICI Bank sanctioned loans worth Rs 3,250 crore to various private companies belonging to the Videocon Industries Limited. Gupta had alleged that despite Supreme Energy - owned by Videocon Group's Venugopal Dhoot - funding a sum Rs 64 crore in NuPower Renewables, its shareholding in NuPower got reduced to just 2.32 per cent, whereas with the investments of only Rs 1.89 crore Deepak Kochhar acquired 92.67 per cent stake in NuPower Renewable Private Limited.